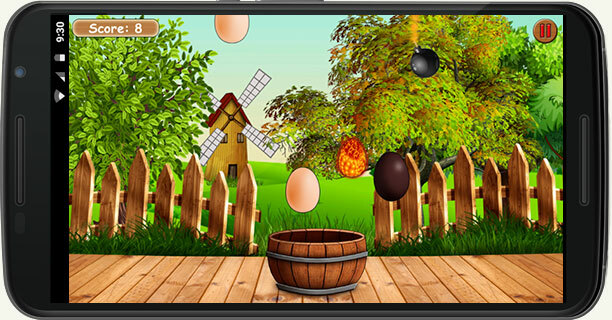 Catch the magical eggs is a super funny easy game to play with funny eggs in a beautiful world. 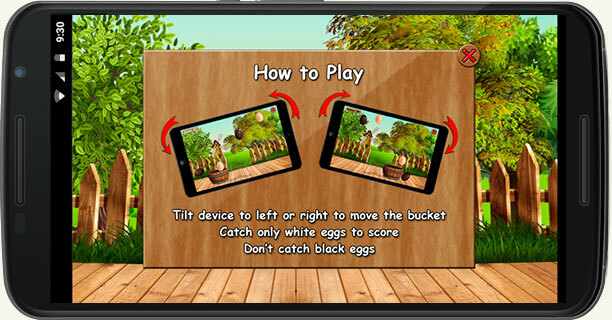 Egg catcher - All you have to do is tilt your device or use arrows to move the bucket to catch white eggs, gold eggs, fire eggs and magic shield eggs as many as possible you can and beat all records. 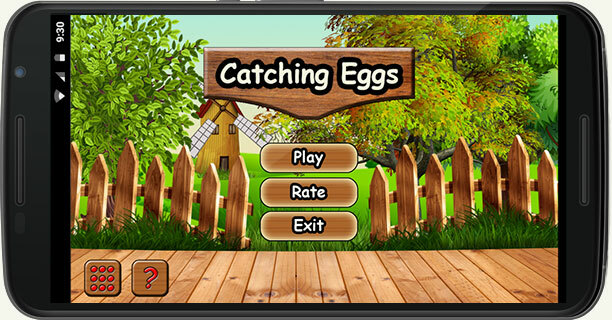 Catch the eggs - fun and easy to play eggs game. Catch white eggs for 1 point. Catch gold eggs for 5 points. 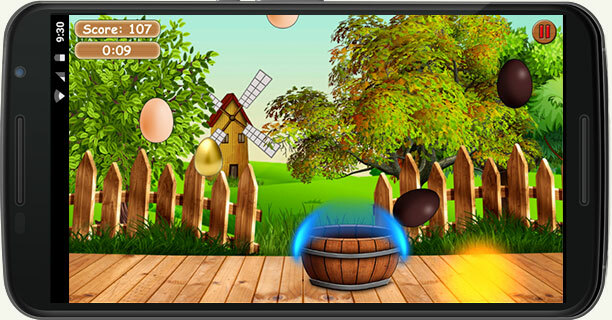 Catch fire eggs to blow all white eggs on the screen winning 1 point for each egg destroyed. Catch magic shield eggs to protect you against black eggs and bombs. Use arrows to move the bucket.